Nothing is too big or small. We’ve got the bases covered with a bit of common sense. The kind of information you need to read. When will you charge my credit or debit card? Will I get an authenticity certificate for my items? How do I qualify for split payments on items? How many payments will there be on split pay items? Can I use my account credits on a split pay item? Can I opt for split payment on both the web and on TV auction pieces? How can I view/manage my split payments? How do I change my card information associated with split payments? Can I pay for an instalment early? Can I customise the payment date for the instalments? How many items can I have set up as split payments at any one time? How do I go about returning items set up on split payments? How do I track my order once it has been dispatched? How are your start prices calculated? What does "Today's Price" mean? What sizes are your rings available in? Do you provide chains with your pendants? Will my item be the same as the one displayed on the web or on TV? Are the carat weights and metal weights guaranteed? Are your gemstones treated or modified? Where can I find out about Melee Diamond grades? Do the WEEE regulations apply to watches? Why can’t I check out 9K Gold items? I can’t remember the item code? How do I send my Jewellery? Is the quotation given the final price? When do we apply charges and how do we do it? Who do I talk to if I have a problem or question? How long does it take for an email reply? When an item comes as a pair why do we need to send both in? What if I decide not to proceed with the repair? What happens if we damage something – crack a stone? Why do you take a digital photograph of the items you repair? Why do we need to reclaw an item of jewellery? Why has a chain (necklet or bracelet) broken again? Why do we need to count pearls? Why does this ring look thinner after sizing up? Why do Laser Hallmarks complicate the sizing and repair processes? Where can I get rings resized? Can I return items that I do not want? How should I return unwanted or faulty items? How long will my return take to be processed? How do I access my online authenticity certificate? Can I see my telephone orders online? Can I add or remove a credit card from my account? Can I add or remove a delivery address from my account? Can I stop my name from being displayed on TV? Can I order online using my existing phone account details? How many items can I have in my basket? How long do items stay in my basket for? 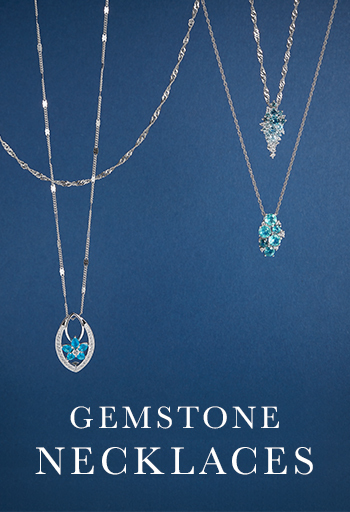 What should I do if I’m experiencing difficulties using the Gemporia website? 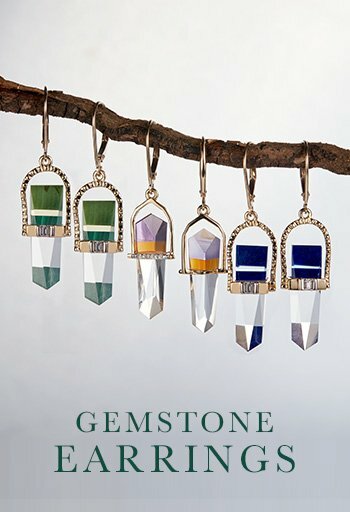 Where can I see Gemporia on TV? What if I later see an item auctioned for less than I paid? Who provides the Gems TV channel? Yes. You can add to your order from our website, or by calling our Help Team for the duration of the day on which you start your order (e.g if you order Saturday morning, you have until 11:59 on that Saturday to add to your order) – and no matter how much you add you will only pay one delivery charge. Items ordered on different days will be on different orders, each with their own delivery charge. Yes. You can add to your order throughout the day that you started it. For all other order amendments, please contact our Help Team who will assist you in modifying your order if it is possible to do so. To view the status of your order online, click on "My Account" in the top navigation bar of this website. If "My Account" does not appear, you will need to click on "Login/Register" and log in to your account first. You can then click on "Order History" to see the status of your order. Your order has been placed on our system. Your security is extremely important to us, so we undertake various random checks on orders to verify that the details we have are valid. Do not worry if your order has this status, if we cannot validate your details our Help Team will get in touch. We have processed our security checks and obtained a pre-authorisation and your order is now waiting to be picked. Our Warehouse Team have begun picking your jewellery from our jewellery vault. After picking, we have verified that all your items are available and have passed your order to be packed. Your order has been collected by our courier and is now on its way to you. Unfortunately, we have found that one or more items from your order are not available. Our Help Team will be in touch to discuss this with you. The order has been held until a future date, usually at your request. We have been unable to obtain payment for the order and will contact you for alternative payment details. Your order has been cancelled, either at your request or, for example, where we have been unable to obtain payment after contacting you for alternative payment details. We will not charge your credit or debit card until your order has been picked by our warehouse and is ready to be packed. On the estimated day of dispatch for your order, we will ask your card issuing bank for a "pre-authorisation" for the value of the order. This confirms that the card details are correct and that funds are available for the order value, that amount will then be reserved. Once we have confirmed that all the items are available for your order and started to pack it, we will then charge your card for the order value. Yes. 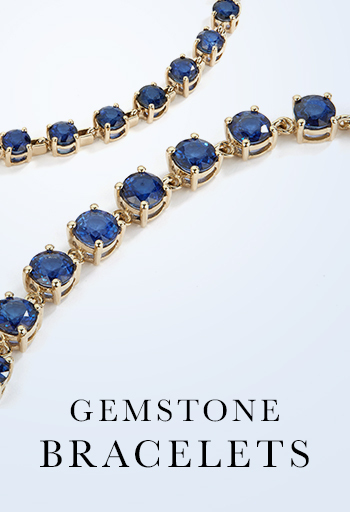 All of our genuine gemstone jewellery is issued with an authenticity certificate. Anyone can choose to pay by split payment on any item which qualifies – these items will have a split pay price under the total price. The total cost of the split pay item will be split into three equal payments. The first instalment will additionally include the P&P payment. Due to how our payment gateway calculates subsequent payment collections based on the selling price unfortunately adding a credit into the calculation is not feasible. Split payment is available on any item which qualifies, regardless of whether it is purchased on our TV channels, website or mobile apps. You can view and manage your split payments on our website under the ‘My Account’ section, or if you need any help please contact our Help Team. To change your card details, please contact our Help Team. You can pay an instalment early either through our website or by contacting our Help Team. Your first payment will be taken from your account at midnight on the night of your purchase, the subsequent payments are fixed at 30 day intervals, but you can pay them off earlier than this either on the web or by contacting our Help Team. There are no restrictions on the number of items you can purchase on split pay. You can return split pay items using our normal returns process and terms. Any payments that have been paid off against the split pay item will be refunded, with the exception of the delivery charge. We offer two delivery services in the UK: Standard & Premium. Standard delivery is usually delivered by Royal Mail and should arrive 4-6 working days after the order is placed. Based on the size and value of your order, we may choose to dispatch it by a different method. Premium delivery orders are delivered by our courier, DPD. Deliveries should arrive within 2-3 working days after the order is placed. Deliveries to some outlying areas may take longer. When we dispatch your order we will send you an email letting you know it has been dispatched and giving you an estimate of when it should arrive. If tracking information is available, we will give you a link to enable you to track your parcel. For Premium delivery, if you tell us your mobile number when placing your order, DPD will send you a text message on the morning that your parcel will be delivered, giving you a one-hour time estimate for its arrival. We are pleased to offer standard and premium delivery services to a number of international destinations. For a full list of countries and charges, please click here. As we are both the manufacturer and the retailer of most of the pieces of jewellery we auction, we cannot put an RRP on our items. Therefore we put an auction start price (or ASP) on our jewellery that we feel is reflective of the types of prices you may see similar pieces of jewellery sold for in other retail environments. We keep our business efficient and work on small margins to try and bring you the very best price. We factor in the market price for precious metals and the current availability of gemstones – so our prices will change over time. Many of our rings are available in multiple sizes. There are many different sizing methods around the world and with the British system there is less than 1mm difference between each size. With the huge range of rings that we stock we cannot efficiently stock every UK size. Due to this, and to standardise our sizing internationally, we use American sizing as it is easier to understand for both the consumer and our manufacturing partners. Broadly speaking, each US size is suitable for three UK sizes. So a size 5 should fit comfortably a UK size J, K or L.
All of the rings we sell can be resized up or down by at least one American size or two UK letter sizes. If a ring does not have gems set on the shoulder and as long as the gems are not channel set, then they normally can be resized considerably more. For rings that are only available in one size, or for people that need rings that are smaller or larger than the range of sizes on offer, we have negotiated a service where all rings can be re-sized from £10 (plus the cost of sending the ring to our re-sizing partner). You will receive a re-sizing form with your order. You can also order a free ring size measuring kit whenever you order a ring from us. We do not normally provide a chain with most of our pendants, but we do offer dozens of options within the 'Accessories' section of this website. The samples that we use for our website photos and for inclusion in our TV shows are chosen at random from the stock available of the item and therefore should be a representative example of the item. As we use genuine gemstones, which are a naturally occurring rather than man-made, there will always be some variance between items. Also, many of our pieces of jewellery are hand-made which can lead to differences between individual items. The carat weights and metal weights quoted in our design details are the average for the design and therefore will vary. Where a ring is available in multiple sizes, the metal weight given is the average for that item across all the sizes. Throughout the jewellery industry, many gemstones undergo some form of treatment to enhance their appearance or durability. Therefore you should assume that any gemstones you purchase from us are treated. For more details of typical treatments, please see the Treatments page on this website. For more information on our Melee Diamond grades, please click here to see the relevant article in our Gemstone Information area. Watches (or other items) containing batteries are considered WEEE. The Waste Electrical and Electronic Equipment (WEEE) Directive is now UK law. The legislation aims to make producers pay for the collection, treatment and recovery of waste electrical equipment. The regulations also mean that suppliers of equipment like high street shops and internet retailers must allow customers to return their waste equipment free of charge. Much of the UK's WEEE ends up in a landfill, where the lead and other toxins it contains can cause soil and water contamination. This can have harmful effect on natural habitat, wildlife and also human health. Coloured Rocks Limited is obliged under these regulations to offer our customers free take-back of their WEEE on a like-for-like basis when you buy from us a new Electrical or Electronic product. For example, if a customer bought a new watch from us we would accept their old watch and prevent it going into a landfill site by disposing of it safely. Customers must return their WEEE item to us within 30 days of purchasing their new item, and are responsible for the cost of sending the item to us. Under the WEEE Regulations, all new electrical goods should now be marked with the crossed-out wheeled bin symbol shown below. Goods marked with the above symbol were produced after the 13th August 2005, and should be disposed of separately from normal household waste so they can be recycled. Gemporia is based in the UK and the standard gold karatage here is 9K rather than 10K. When we started selling in the USA, in order to comply with US trading laws, we switched our products to 10K Gold. A few 9K Gold items may still appear on our site, but if you are buying in the US, you unfortunately won’t be able to check them out. When we receive your item, as long as we have your details, we will be able to view your purchases and identify the piece for repair. Please make sure you use an insured delivery method such as Royal Mail Special Delivery and wrap your jewellery in a manner that it will arrive undamaged. A repair will generally be despatched back to you within 5 working days from the date that a fixed price repair is received. We will endeavour to achieve similar repair times for quoted repairs but, in the event that materials need to be sourced from our worldwide network of suppliers, repair times may be a little longer and will be defined in our quotation. Generally speaking yes it will be. On rare occasions if we find that the repair is more complex than originally thought we may contact you to explain the issue, offer you options, and quote a revised price and obtain your consent to proceed. We will never charge you a price that you have not previously agreed. Return postage is included in all fixed price and quoted Resizing and Repair work. We will only charge a nominal return postage of £2.95 if the item is to be returned without Resize or Repair for example if you cancel the work or the item you sent was not a Gemporia item. We will only take payment for the Resizing / Repair once the work has been completed and is ready to be sent back to you. Payment will be taken against a card registered on your Gemporia account. If you wish to use a different card, please contact our Customer Service Team on 0333 400 0011. Email the Gemporia Help Team at email [email protected] or call 03334000011 and they will be able to help you with repair questions as they have done when you first bought your jewellery. You should expect an email reply within 24 hours and in most cases in a much shorter timescale. We need both items so that we can match any missing pieces and finishes. This will not be a problem if you contact us immediately. We will return the item to you straight away. If however the repair has started then it will not be possible to cancel and you will still be charged for the amendment. Whilst highly unlikely, it is possible that some of the processes we use when working on your jewellery might cause damage or loss of parts. In the rare event that this happens we will repair / replace the damaged element. In the case that a significant element (e.g. the main stone) is damaged we will source a replacement and contact you to make you aware of the issue and agree a solution. Our repair guarantee is for the repair undertaken, for example, if we replace one stone we do not guarantee the stones we didn't work on. This applies to most types of repair so by keeping a digital image on file we can identify whether it is a new problem or a recurrence of the old. It is also an easy way to confirm the identity of the item we receive and its condition. Wear at sides of settings - This can affect the strength of a claw and make it weak so although it appears the top of the claw is still holding the stone in place the claw itself is not strong enough to secure the stone. There could be several reasons, another area of the chain has broken. It could be due to wear and tear, because the chain has been caught or the original repair has failed. The most likely is that when the chain was first snapped, the “weakest link” broke. At the same time several other links would have been weakened. If the chain is caught again, one of the other weakened links will be most likely to fail. A row of pearls that needs restringing is usually stretched and the restringing process removes the slack and the length is reduced although the same number of pearls have been restrung. By counting the pearls we can be sure we haven’t lost any even though the length is shorter. When a ring is sized up the back of the ring, which is normally the thinnest part of the shank, is extended making it longer and the designed curved profile of the shank will be blended in to maintain the look of the ring. This can give the impression that the shank is thinner and with some designs, being enlarged considerably, the profile may be very slightly thinner. As these hallmarks are only burnt on to the surface of the metal by a laser they can be very faint. Rings that have laser hallmarks are harder to size as the hallmarks can easily be removed by the buffing and polishing that is necessary to size a ring correctly. If the laser hallmark is removed we will have it re-added at no extra charge however it may add approximately 1 week to the repair lead-time as the item will have to be sent to The Birmingham Assay Office to be remarked. Gemporia offer a ring resizing service, find out more here. Yes. 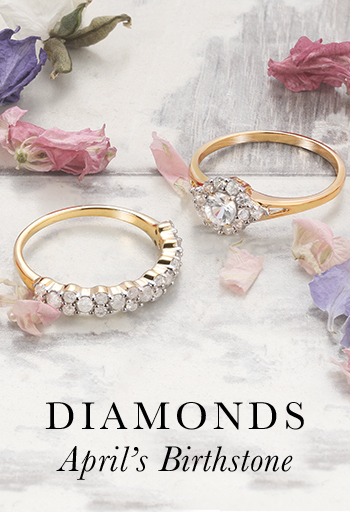 Whenever you buy jewellery from us you are eligible for our 30 day guarantee, which starts on the day you receive your jewellery. If for any reason you are not satisfied with a piece of jewellery, just complete the returns form in the newsletter enclosed with your jewellery and send the item back to us for a full refund of the item price. If your jewellery becomes faulty within 30 days of receipt, you will be offered the choice of a refund or, if stock is still available of that particular piece, a replacement. Please complete the returns form enclosed with jewellery and send it to the specified address. Please send it back to us using a fully insured and trackable method of postage. We promise to process your return within 30 days of receiving it. However, most of the time we process returns much quicker than this and aim to process them within 7 - 10 days. On your dispatch note you will find a returns sticker with a barcode of your order number. If you make sure to stick this barcode on the outside of your returns parcel, we will scan the parcel when it arrives in our warehouse and send you an email letting you know we have received it along with an update on approximately how long returns are taking to process at that time. To view the status of your order online, click on "My Account" in the top navigation bar of this website. If "My Account" does not appear, you will need to click on "Login/Register" and log in to your account first. You can then click on the "My Orders" tab at the bottom of the page to see your order history. If you click on a “View” button for a specific order number, you will see further details of that order and can even click on the “Download your Authenticity Certificate” to download an authenticity certificate for that item. If you click the item photo it will take you back to the product page for the items on the order. To access your online authenticity certificate, go to your “My Orders” tab in the “My Account” section of this website and then click on the “Download your Authenticity Certificate” link that relates to the item you wish to obtain a certificate for. You will be prompted to either open the file or save it to your computer. You can only access certificates for orders that have been dispatched – if your order has not yet been dispatched, the “Download your Authenticity Certificate” link will not appear. Yes. If you cannot, it may be that we have multiple accounts on our system for you. Our Help Team will be able to merge these accounts for you so that you can see the orders from all of them online. If you have only ordered on the phone before you can set your account up to be accessed online by clicking on "Login/Register" and then “I have bought before on the phone & would like to use my same Account details”. You will need to enter an Order Number from a recent purchase, the last four digits of the credit card used for that order, an email address and a password. If you are having problem finding your Order Number, Call our Help Team on 0845 6588 663 or 1-800-500-6010. Yes. Click on "My Account" in the top navigation bar of this website. If "My Account" does not appear, you will need to click on "Login/Register" and log in to your account first. You can then click on the "My Payment Details" tab where you can “Add a new card”, “Delete Card” or “Update Card”. Each credit card must be assigned to an address in the “My Addresses” section of “My Account”. To add a new card registered to a different address, you may need to add a new delivery address first. You can then click on the "My Addresses" tab where you can “Add a new address”, “Delete Address” or “Update Address”. You can also select your default delivery address here for faster future checkout and leave any delivery notes for each address profile. Don’t forget to press the “Update Address” button when you have finished changing your delivery profile. You can then click on “My details” to change your contact details. Don’t forget to click “Save My Details” when you have finished. Yes. Click on "My Account" in the top navigation bar of this website. If "My Account" does not appear, you will need to click on "Login/Register" and log in to your account first. Then uncheck the “Display Name on TV?” option and click “Save My Details” when you have finished. Click on "My Account" in the top navigation bar of this website. If "My Account" does not appear, you will need to click on "Login/Register" and log in to your account first. You can then click on “My details” to change your password. You will need to enter your old password and your new password twice to confirm your change. Don’t forget to click “Save My Details” when you have finished. If you have forgotten your password click on "Login/Register" and select the option “Forgotten Password?”. Enter your email address in the pop up and click “Submit”. We will then send a new password to this email address that you can use to log in. Yes. To change your existing account so that you can order over the internet, click on "Login/Register" and then “I have bought before on the phone & would like to use my same Account details”. You will need to enter an Order Number from a recent purchase, the last four digits of the credit card used for that order, an email address and a password. If you are having problem finding your Order Number, call our Help Team on 0845 6588 663 or 1-800-500-6010. You can place as many items in your basket as you wish. We use the same basket for Gems TV, Jewellery Maker and Gem Collector so you may find items you have added to your basket from our other websites in your basket. If you do not wish to purchase an item in your basket you can either remove it by changing the quantity to zero or uncheck the “Checkout?” button (this will leave the item in your basket, but please note that the item is not reserved for you and the item may sell out and be removed automatically). Items stay in your basket while there is still stock available of that particular item. If you have changed the quantity of an item stored in your basket, you will be advised of available quantity upon check out. Items added to your basket are still available for others to purchase, reservation of your item happens when you check out. Don’t forget you can order as many items as you like in any one day delivered to the same address for one P&P. Gems TV is broadcast live 24 hours a day on Sky channel 665, Virgin channel 755 and on Freeview channel 43. 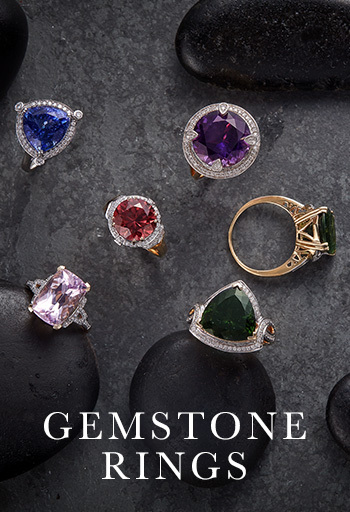 Gemporia and Gemporia Outlet channels can be viewed on this website under 'Auction Rooms' – you may want to bookmark the Auction Rooms page so you can go straight to it in the future. We offer a lifetime lowest price guarantee: if you see the same item for sale on one of our channels or websites at a later date and notify us immediately, we will happily credit the difference to your account with us for you to use towards future purchases. This guarantee is for items purchased in our auctions only and does not apply where the subsequent sale is part of a clearance, or where it is the sale of seconds or ex-demo items. 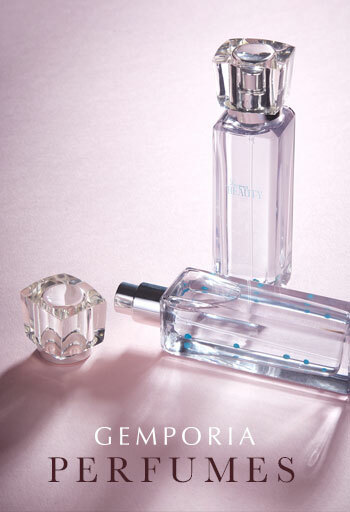 Please note that the Gemporia Outlet is predominantly a clearance avenue so items sold on the Gemporia Outlet cannot be used to generate a price promise against items sold on Gemporia or the static Gemporia website.